Republicans lost their majority in the House on Election Day, paving the way for former Speaker Nancy Pelosi to regain her previous title and power. But less than 24-hours after the polls closed, a fight for leadership in the next Congress broke out among Republicans. 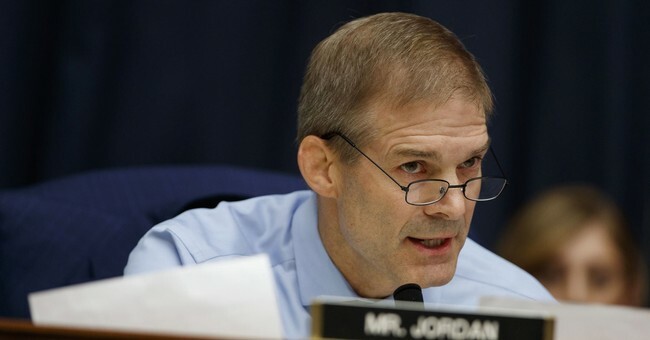 First, House Freedom Caucus founder and Ohio Congressman Jim Jordan announced he will run for minority leader during an interview with The Hill TV. "Today is a difficult day. Our members competed hard across the country. But after months of enduring nonstop biased attacks and unprecedented liberal resources, we came short of defying history and holding the House," said the 53-year-old McCarthy in a Wednesday letter to other House Republicans. "Even so, we should not let last night’s results diminish the great gains President Trump and our majority have delivered." Repeating claims made by President Donald Trump, who McCarthy has forged a close relationship with, the California Republican argued that "we have seen where Democrats want to take our country — open borders, government-run healthcare, impeaching President Trump, and crushing debt for our kids and grandkids. We simply cannot let that happen." Among the Republican base, McCarthy is seen as an establishment ally of outgoing Speaker Paul Ryan. Jordan is seen as a scrappy grassroots player who came to Washington on the Tea Party wave. McCarthy's campaign spent $9,847 at @realDonaldTrump's properties this year.